NBA – For the first time of his illustrious NBA career the Cleveland Cavaliers superstar LeBron James completed all 82 games of the 2017 – 2018 NBA Regular Season at 33 years old of age and in his 15th season. James also made history as he becomes the oldest player to complete all games in one NBA Regular Season while also leading the league in minutes per game at the same season. Without a doubt this is by far the best season played by LeBron James compared to the season he won the league MVP's, he is playing his highest level of basketball at 15th season where everyone thinks he should be starting to decline but turns to be he is defying father time like a fine wine, he get better as he age! Until today, LeBron James is still recognize by the league, his co –players and even NBA analyst as the league best player which he has been for almost a decade or so but his brilliance, mesmerizing and tantalizing performance every game is on the verge on not being recognize as his chance of winning the league MVP for the 5th time seems not in his favor? In the current NBA MVP ranking James Harden still leading the league in MVP ranking while LeBron James is trailing behind at 2nd place, Harden teams has more and better winning percentage this season while LeBron and his team has lesser win than the Rockets where the Cavs mostly struggle this season and because of that James Harden has the better edge of winning the league MVP according to some NBA Analyst? Both LeBron James and James Harden played exceptional or extraordinary season either way could win the league MVP? It’s only up to the voter who will they vote? Harden is looking for his 1st MVP where he was denied the last two season including last year loss to Russell Westbrook while LeBron James is looking for his 5th MVP a chance to tie Michael Jordan? 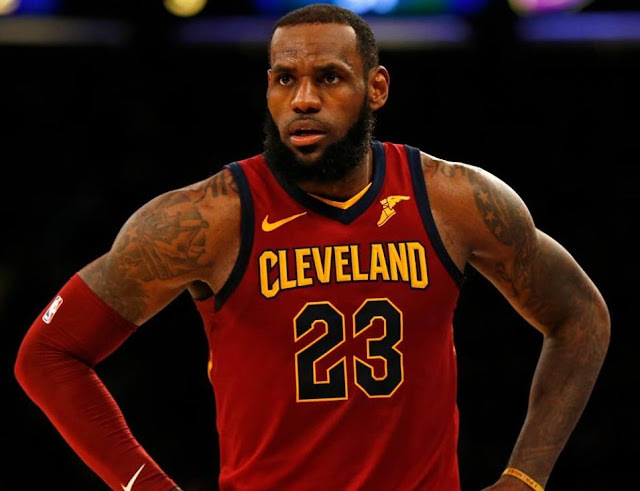 No Comment to " LeBron James Completed All 82 Games of the 2017 – 2018 NBA Regular Season "